Conventional automated palletizers have been available since the 1950s. In the 1990s, gantry and then jointed arm robots made significant inroads in palletizing, leading many to conclude that the conventional palletizer’s days were numbered. Rather than getting immersed in ambiguous statistics and marketing buzzwords like flexible or fixed automation, this paper looks at the specific applications that favor each technology to chart the future of palletizing automation. Applications That Favor Robotics In addition to the coveted “wow” factor, articulated-arm robotic palletizers are an effective solution for simple, lower-speed operations, applications that handle a wide variety of SKUs, and operations in hich the product shape demands precision, such as bags and pails. Low-speed, simple case palletizing – For operations that have low speed and simple requirements for palletizing, robotics can be an attractive option. Minimal hardwarerequirements can mean that infeed conveyor, robot and safety standards are all that operations must account for, provided processes can allow for manual intervention to replace pallets or remove full loads. The addition of other automation such as pallet and sheet handling or pallet conveyance are all worth considering when evaluating a robotic cell. These options do add cost and may impact the overall throughput of the system, driving down the attractiveness of a robotic system to the end user compared to more conventional machines. Low-speed, multi-line case palletizing – In order to handle more than one product type at a time, a conventional palletizer must accumulate layers or loads of like product on an upstream conveyor system, before feeding them into a palletizer that automatically changes to the corresponding pattern. 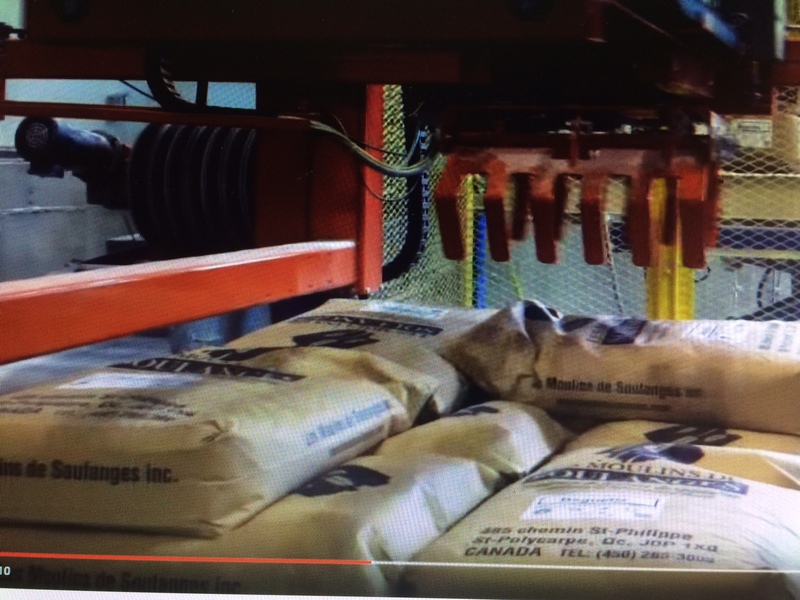 A palletizing robot can simplify multi-line palletizing by eliminating the need for a complex upstream accumulation conveyor system. The robotic cell has capacity for several loads, allowing the arm to work on all loads simultaneously. This is a very effective concept for lower-speed lines, operating at a range generally under 15 cases per minute, per sophisticated software to enable end users to change how pallets are built based on the addition of new SKUs or other inventory changes. Conventional machines can also have similar software, but their capabilities are limited compared to robotic solutions.